Connie Clam is unhappy because she wants to see the world. Swimming to shore and feeling rather lost, she encounters Happy Anderson, a big helpful dog who had been adopted by Bobbie Anderson. He introduces her to the wonders and recreation of a sea resort. She even learns to surf on seaweed and finally surfs home, only to tell her family she will now be a traveler back to the other world from time to time. 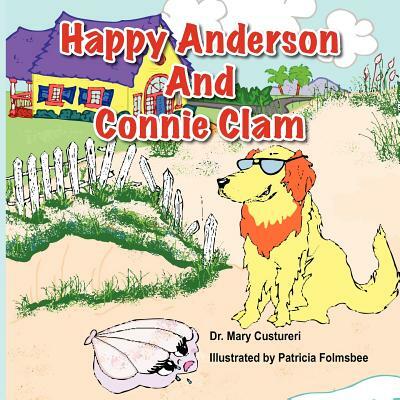 This book is part of the second series of Happy Anderson adventure books for primary grades, written by Dr. Mary K. Custureri, a reading specialist dedicated to reading development for primary grades through college. She is also the author of Instructional Strategies: Helping All Students Succeed ( a teacher manual, NCEA, 2003); and of How to Learn in Ten Easy Steps, (Highpoint Publishing, 2008).